Analytic Brief: Some advice about travel advisories. Posted in Rotate, Travel | Comments Off on Analytic Brief: Some advice about travel advisories. Travel advisories are used by tourists and businesses to judge the risks involved in traveling to and investing in foreign countries and regions. Issued by governments and private entities, travel advisories are useful as a starting point for ascertaining risks abroad but should not be relied on exclusively for determination of them. In this brief 36th Parallel Assessments explains why. 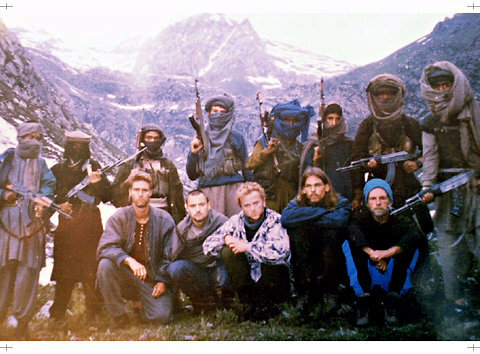 Western hostages kidnapped by the Kashmiri Isamicist group Al-Faran in 1995. Source: Al-Faran via Wikimedia Commons. The murder of Westerners, including a New Zealander in Libya, in the aftermath of the so-called “Arab Spring” of regime change in North Africa and the Levant, has raised the profile of travel advisories as effective guides to personal and institutional safety of foreign travelers in such unstable regions. Libya is classified as High Risk in an around Tripoli and Misarata extending west to the Tunisian border and Extreme Risk pretty much everywhere else in the country by most Western states, including Australia, Canada, the UK and US. Syria is, understandably, considered to be an Extreme Risk environment by virtually all Western governments. The body of the Kiwi who was murdered, a female friend of a contractor to an Italian petrochemical firm, was found 100 kilometers west of Tripoli in a High Risk area. For her and her British companion, as well as several Americans recently, the risk was terminally extreme. Both governments and private entities issue travel advisories, which are most often associated in Western minds with unstable or undeveloped states and regions in which lawlessness is rife (the same is largely true for advisories given by non-western governments such as the Japanese, Singaporeans or Chinese). The advisories may focus on political or criminal threats to foreigners in general and citizens in particular depending on the situation (for example, ethnic Chinese are more likely to be the target of socioeconomic-based ethnic violence in Melanesia and Polynesia than ethnic Europeans, and women travelers face higher risks than men in many countries). Yet these advisories are not always as neutral as they may appear at first glance and hence need to be treated with caution and in broader perspective. It is erroneous to assume that governments and many private entities issue objective and value-free travel advisories. Government travel advisories take into account the diplomatic, security and economic relations of the issuing state with the targeted country. As a result, taking everything into account and (however short-sightedly) thinking of the bigger picture moving forward, there is a tendency to downplay security concerns where the countries in question are allies or have good foreign relations, whereas there is an inclination to paint an adversary or hostile country in a more negative light regardless of the objective situation on the ground. States are loathe to annoy their partners and allies, or those that they wish to cultivate for diplomatic or economic reasons, by issuing alerts and advisories of high or extreme risk in them. They may be pressured by corporate actors to downplay the risk of travel to those countries. Thus, even if the situation on the ground is hazardous for tourists or business travelers, the advice offered in such circumstances often does not raise above that of a caution about medium to moderate risks to personal and institutional security. The concern with maintaining good diplomatic relations is compounded by the failure of many Western governments to fully appreciate the fluid nature of political and social events in designated countries, specifically the impact of regime change, latent social unrest and pre-modern cleavages on mass collective action. Confusing mass acquiescence with popular consent often leads countries to overestimate the degree of political support sustaining a foreign ally or partner. 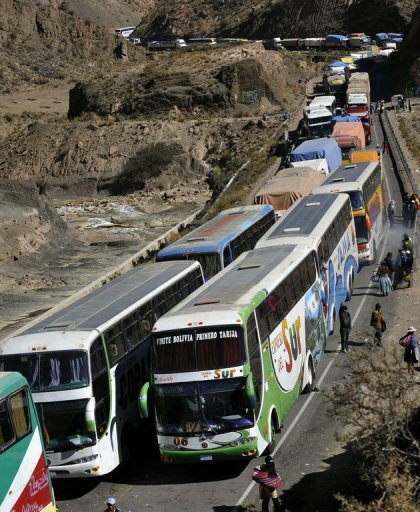 That in turn leads them to formulate their travel advisories in ways the underestimate the possibility of regime failure and the attendant risks associated with it. Given resource constraints in diplomatic and intelligence agencies in many countries, limitations on diplomatic presence and in-country expertise in foreign contexts can limit the ability of advising governments to gather accurate, time sensitive and nuanced information on local conditions. Consequently, they often rely on the host government or foreign partners for situational knowledge, which itself may be more general than specific. This is then passed on by diplomatic outposts (some which may not be located in the country under scrutiny) to the home governments, often without vetting by other security agencies. That is a problem because for a number of reasons both host governments and foreign partners may not provide accurate reads of the local conditions being assessed. Bureaucratic in-fighting amongst government agencies responsible for offering input into official travel advisories adds to the problem of objectivity. Different foreign policy-related agencies with input authority on travel advisories may have different information from their foreign counterparts with regard to the countries being assessed (say, intelligence, police and military agencies versus diplomatic, customs, health or immigration agencies). Whatever the concerns of one or a few agencies, governments may be unwilling to accept harming a fruitful diplomatic, security or economic relationship because of the particular, if valid, concern about citizen travel to a particular country. Even if the foreign affairs bureaucracies agreed to defer to the concerns of one or a few agencies, not all Ministers would find it politically expedient to accept the bureaucratic judgement, be it in an election year or not. When it comes to foreign relations governments play the odds and the odds favor the status quo unless something dramatic happens. However, for those affected by unforeseen dramatic events, that may be too late. Continuity, stability, reliability and future mutual support are the most precious commodities of foreign relations, but the interest in them often blinds governments to the inherently weak or unstable nature of the regimes that appear to offer them. It also leads to acceptance of what foreign allies depict as local reality as fact when the truth may be otherwise. Thus time and time again Western governments have been caught by surprise at mass upheavals against seemingly stable friendly (most often authoritarian) regimes, with their citizens visiting and resident in countries where popular revolts occur often victimized as a result in part because they were lulled into a false sense of security by official travel advisories that downplayed the risks to the friendly regime, and by extension, foreigners who could be construed as associated with it. This has occurred throughout North and Sub-Saharan Africa in the past five years, SE Asia and Latin America in years before, and is evident in the moderate advisories given to Middle Eastern diplomatic, military and trading partners by Western governments in spite of clear indications of simmering restive and anti-foreign sentiment in them. Government agencies that may be objectively helpful in terms of ascertaining proximate conditions are local consulates and embassies, which tend to be more immediately concerned about the fate of their own employees and citizens and therefore less likely than central government agencies to downplay immediate threats and risks. But their predictive utility on such matters is more short-term than medium to long-term and ultimately subordinate to central government dictates. Similarly, travel agencies, tour companies, airlines and other business invested in tourism, as well as those that see profit in resource extraction and commodity export, have an inherent disposition to downplay risks because their livelihoods depend upon sustaining and increasing the number of tourists and investment dollars in such ventures. Absent an obvious and compelling threat such as a civil war like those in Syria and the Central African Republic, profit driven private entities will, like official government warnings, often couch their advisories in moderate terms. Here too they are handicapped by a lack of objective risk analysis because they often rely for their local knowledge on in-country partnerships that also depend on tourist and investment dollars for their livelihoods. In such relationships no one wants to upset the foreign traveler or investor gravy train so risk is downplayed in all but the most dire situations. As two of many examples, Kenya and Thailand offer proof of that. NGOs and IOs tend to more pragmatic in their travel advisories and risk assessments because they have less profit at stake and more lives and reputations immediately in play. Travel guides tend to be objective but superficial in their risk advice unless the local situation is obviously dire. This is not surprising given the breadth and focus of travel guides (think Lonely Planet as an example, although to its credit LP does address LGBT safety in its guidebooks), which are not oriented towards divining risks to personal and collective security but instead focus on geographic, cultural and entertainment features of any given place. The best risk assessments and travel advisories tend to come from insurance firms (although some of their assessments have been proven to be suspect, such as those involved in the determination of national credit ratings). Likewise, reputable international political risk and open source intelligence firms are more objective and forthright about the situation in any given country because their client’s welfare is often at stake, and maintaining client relationships is most important for the success of such firms. In fact, insurance firms regularly seek external assessments from political risk and open intelligence firms so as to limit the possibility of and mitigate their liability in the event a client disregards their in-house advice. Reputable political risk and open source intelligence agencies tend to canvass a wide an array of sources before they put their names on any assessment, including travel advisories. Such firms tailor their assessments and advisories to client needs, for example, by specifying the relationship of competing market actors with local political factions and (where present) criminal or political armed groups in specific foreign contexts (the relationship between irredentists and oil firms in the Niger Delta comes to mind, but also applies to resource extractive firms and indigenous militias in the Southwestern Pacific and Central Africa). Done correctly, market intelligence analyses as well as country surveys incorporate risk assessments as part of their services. More generally, reading news about a travel destination is a very good way of getting abreast of the local context. Many non-European countries have English, French, Italian, Spanish, German or Dutch language newspapers (many of these a colonial legacy), and outlets like the BBC, VOA and RT radio services also provide useful updated information on local conditions. Internet search engines are also quite helpful in this regard. Similarly, social media may offer better awareness of tactical or real-time situations, although one should always be aware of editorial and personal bias in any news provider, so-called mainstream or not. After all, when it comes to taking advice and reading the news, a discerning traveler is a prepared traveler. Reliable information on local conditions is as important for casual or unwary travelers as it is for those who deliberately travel to unstable or conflict zones such as reporters, diplomats, military personnel, security contractors and armed “internationalists” who join in foreign conflicts for money, ideology or adventure. Regardless of circumstance, one should know what she is getting into and prepare (or avoid) accordingly. In light of the above, travelers should begin with but not rely exclusively on the advisories of governments or private entities with a direct interest in moderating risk assessments in foreign countries. This may seem obvious but in fact is not, as many people assume that their governments and the companies that employ, transport, house and entertain them overseas have their personal and group safety as an overriding concern. They often do not, and are consequently insured against episodic calamity as a part of doing business. In a world of fluid change and many localized conflicts, travelers and investors need to be cognizant of the perils as well as possibilities inherent in foreign travel. Advisories issued by governments and private agencies are helpful as a start, but do not suffice in fully exploring the risks and opportunities inherent in overseas touring and investment. Besides self-education, the best way to obtain precise and up to date information about foreign destinations is to access the services of reputable political risk and open source intelligence firms that specialize in geopolitical and strategic assessments of foreign countries, markets and situations. This as true for individuals as it is for corporations and those that insure them, as well as for governments seeking independent verification of what their foreign affairs and security agencies offer by way of overseas risk assessments.